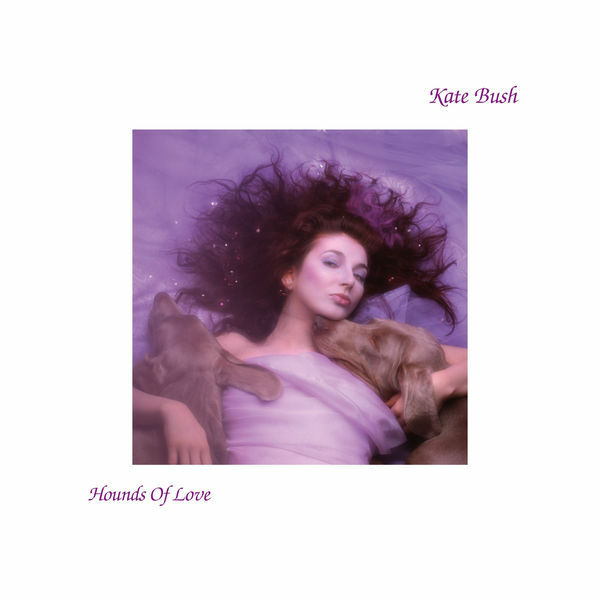 CLASSIC ALBUM REVIEW - KATE BUSH - "HOUNDS OF LOVE"
I remember my dad used to love Kate Bush in the late 70s and I remembered her vaguely as a young boy for the hits "Babooshka" and "Wuthering Heights" and also the strange "Army Dreamers". It wasn't until I bought this album that I explored the back catalogue of this unusual, experimental and reclusive star. I was beginning to find my own identity of music artists in my teens in the 80s so was buying such a variety of sounds and genres to listen to. A friend at work was a massive Kate fan so I borrowed all her work from him and subsequent albums were recorded for my own listening pleasure. Although some of her work passed me by a little I could see the similarities between her and Prince, one of my idols. Both at times were very private but both geniuses in their own right, where music was above sales and all the pandemonium surrounding the press. I was enthralled by the track "Why Should I Love You?" (from Kate's later album "The Red Shoes") and "My Computer" (from Prince's "Emancipation" album) that they both worked together. They are alike in which they may release lower quality stuff but also release works of genius. I love experiments in music and they both had this way of thinking. To this album, "Hounds Of Love" reached Number 1 in the UK, apparently after poor sales of the previous album "The Dreaming" there was a worry about this, hence the 3 years it took to make the set. 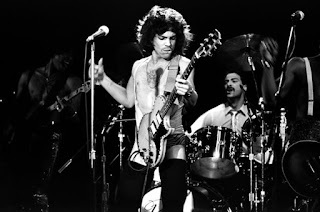 There were four singles released from the album, the first, "Running Up That Hill" reached Number 3. The album version has the added (A Deal With God) to the title but that was omitted from the single release amidst possible religious backlash! The song has a repetitive electronic backing but Kate uses all her vocal techniques to life the song into a classic soft, mysterious ballad. "Cloudbusting", written about Wilheim Reich and his young son, Peter and their "cloudbuster", a rainmaking machine just reached 20 in the chart. The memorable video where Kate plays Peter and his father was played by Donald Sutherland. Great video which raised the awareness of the song. A cinematic string backing compliments Kate's storytelling beautifully. "Hounds Of Love" was the third single, reaching number 18. The title track was apparently inspired by Alfred Hitchcock's film "The 39 Steps". Hitchcock made tiny cameos in all of his movies so Kate added him in the video too! 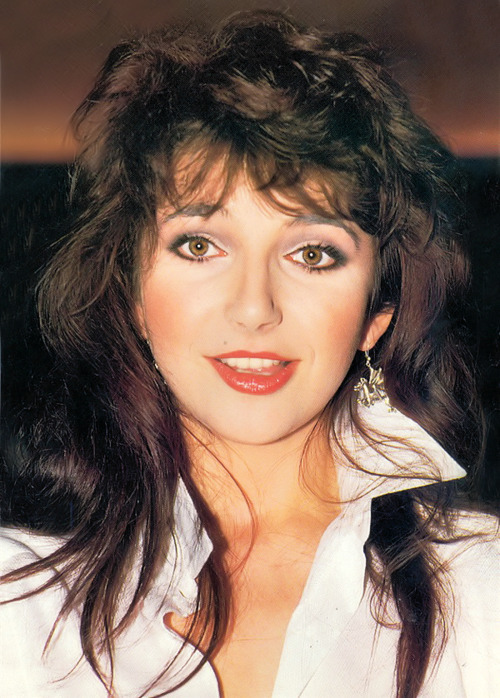 Giving the feeling of running from the hounds, and supposedly about being frightened to fall in love, the song's "de dum de dum" drumbeat likens the sound of running and backing vocals of dog barks make this is a classic Kate Bush experimental song that works. Love this song. 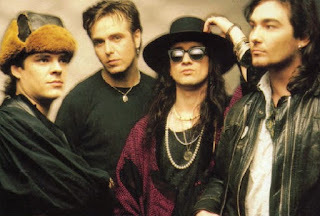 Another favourite of mine, "The Big Sky" was released as the fourth single, but only reached 37 in the UK chart, most probably because everybody already had the album! It give the perspective of a child seeing things for the first time, like "ooh look at the big sky" reminds us how that first wonderment of a moment is the only time you get that feeling of "wow". It was more uptempo than the previous singles and got more frantic as it went on, verging on Pop Rock. Great stuff. "Mother Stands For Comfort" is a strange song, the first half is almost in the Soul genre but the second half is an Ambient/Electro hybrid. Such is the need for Kate to experiment here! "And Dream Of Sheep" is the first song in the Ninth Wave suite, second half of the album. A lovely piano driven ballad with vocals similar to her late 70s fame. "Under Ice" seems to be one of those short, minimal angry songs that Tori Amos (one of my favourite artists) must have taken influence by. It is dark and mystical and the vocals are very eerie sounding. "Waking The Witch" is another spooky track, lots of weird noises, tiny snippets of New Order electronic sounds and gruff, devilish beast-like vocals make this a very unnerving track indeed! "Watching You Without Me" is an quiet electronic track with minimal soft and echoed vocals. Very experimental and not enough for me to really review it as a song. Not a top song by Kate. "Jig Of Life" is like an Irish Folk song, the male vocals towards the end make the sound more Medieval for a banquet or feast of a king. "Hello Earth" is a 6 minute epic but half of it is on and off chanting. Another strange one, some will love it some will not. I liked the first 4 minutes but then it got a little boring. "The Morning Fog" is a beautiful song, a nice end to the album. It contains snippets of the style of the previous songs, like a compilation of the previous tracks but subtle in composition. I was with you all the way until you called "Army Dreamers" strange... I'd argue that this track may have been strange when it came out, but that it formed the basis for what became a rock'n'roll meme along the lines of "In the Army Now" by Status Quo and "Forgotten Sons" by Marillion …. and thus strange no longer. Side 2 of this album is probably the most coherent-yet-off-the-wall-bonkers side ever put to vinyl. Personally, I prefer "the Sensual World" but that's because it has 2 wonderful sides, as opposed to this one which only has 1.5. But I know I'm probably in the minority. I wouldnt call it a "Classic album review". The first half is of facts (that is ok), the second, when you expect the opinion of someone that really understands music is a joke. ..."not enough for me to really review it as a song"..."I liked the first 4 minutes but then it got a little boring"..." It is dark and mystical and the vocals are very eerie sounding." Seriously ??? A wannabe reviewer that thinks he is running up that hill but sitting in the hole of mediocrity instead. Looking for new ways to entertain yourself is no longer a difficult task with the many entertainment coupons Groupon, Living Social, and other daily deal sites entertainment discount offer. But if your preferred vouchers are no longer available or have expired at their respective sites, you may find them in an online secondary marketplace being resold at fair prices. NEW MUSIC ALBUM REVIEW - 510JAZZ - "JANUARY 16"
NEW MUSIC PROFILE - COUNTRY ARTIST "LEXI LAUREN"